Looking for another Earth? ASU is part of an international team that has pinpointed which of the more than 4,000 exoplanets discovered by NASA's Kepler mission are most likely to be similar to our rocky home. The research, detailed in a recently published article in the Astrophysical Journal, outlines 216 Kepler planets located within the "habitable zone" — the area around a star in which a planet's surface could hold liquid water. Of those, they list 20 that are the best candidates to be habitable rocky planets like Earth. “Finding new Earth-like planets that could perhaps be habitable to human beings or even inhabited by other lifeforms is such a tantalizingly wonderful idea that you can't help but have your curiosity piqued,” said ASU’s School of Earth and Space Exploration postdoctoral scholar and research team member Natalie Hinkel. To determine whether a planet may be habitable, the team needed to understand certain physical characteristics about each planet such as size, orbit and distance from its star. If a planet is too close to its star, it will experience a runaway greenhouse gas effect, like Venus. But if it's too far, any water will freeze, as is seen on Mars. The science team sorted the planets by whether they were in a conservative or a more optimistic interpretation of this habitable zone. Then they further sorted them by planet size: smaller, rocky planets vs. larger gas giants. Studying and cataloging the more than 4,000 exoplanets took more than three years and involved researchers at NASA, San Francisco State University, Arizona State University, Caltech, University of Hawaii at Manoa, the University of Bordeaux, Cornell University and the Harvard-Smithsonian Center for Astrophysics. While this research predominantly focused on the physical characteristics of the planets, Hinkel’s next step in determining habitability of planets is to understand the planets' composition, namely the presence and amount of elements like carbon, silicon, oxygen and iron. “These are the elements that are the building blocks not only of the planet itself, but also of life,” Hinkel said. 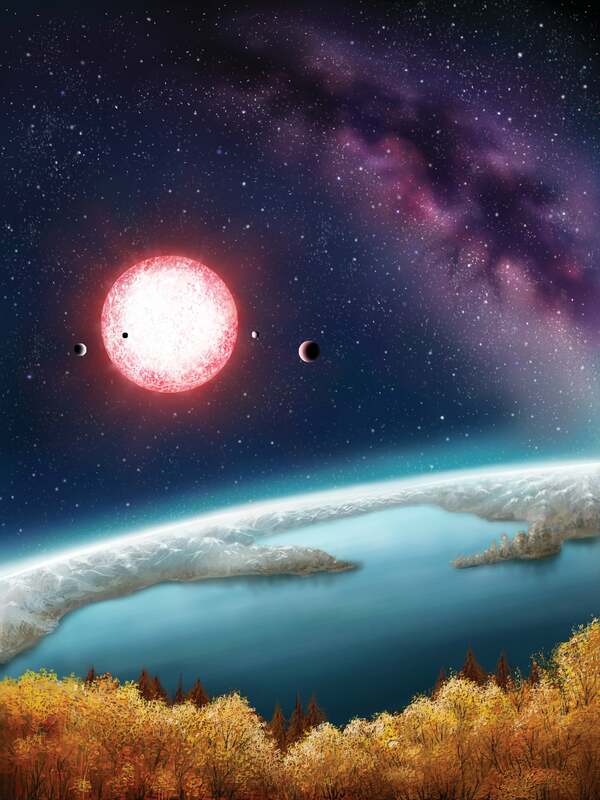 The research was supported in part by the NASA Nexus for Exoplanet Systems Science (NExSS). The School of Earth and Space Exploration’s Steven Desch is the principal investigator of the NExSS Exoplanetary Ecosystems team, which studies detection of life on exoplanets. Their charge is to prioritize stars and planets for follow-up observations, based on how likely the planet is to yield conclusive evidence for or against life.